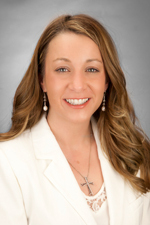 Jennifer Fisher helps clients protect their interests in an extensive range of both state and federal litigation. Her practice focuses on lending and servicing litigation, personal injury and property damage litigation, and legal malpractice litigation. Ms. Fisher regularly defends financial institutions against claims involving predatory lending, mortgage fraud, foreclosure, eviction, tax sales, property based code violations, contract based commercial disputes, and unfair and deceptive acts and practices statutes. In addition, as part of her personal injury and property damage practice, Ms. Fisher defends clients against high-profile medical malpractice; premises liability; product liability; and other areas involving complex litigation. Ms. Fisher takes an aggressive approach in analyzing claims, identifying matters that are likely to be problematic, formulating defense strategies, and offering recommendations that lead to the expeditious resolution of litigation. Prior to joining Hinshaw & Culbertson LLP in March 2015, Ms. Fisher served as an extern and law clerk to the Honorable John R. Pera, Chief Judge, Lake County Superior Court for eighteen months. In addition, she clerked for the Honorable Diane Kavadias-Schneider, Senior Judge, Lake County Superior Court; and served as a federal extern to the Honorable Christopher A. Nuechterlein, Magistrate Judge, U.S. District Court, Northern District of Indiana. In addition to her other law school accomplishments, Ms. Fisher completed a family law internship through which she worked with a Schererville based law firm and shadowed both Lake and Porter County, Indiana, Superior and Circuit Court judges. Prior to attending law school, Ms. Fisher completed her undergraduate studies in Biological Science at Purdue University Calumet. Throughout both her undergraduate and law school career, Ms. Fisher was a member of the Dean's List nearly every quarter and the recipient of numerous state merit and Heritage Law scholarships. In addition, she is the recipient of numerous awards including the Exceptional Student Award from Purdue's School of Engineering Math and Science, a recipient of the Outstanding Student Award from Purdue's Department of Biological Sciences, and a recipient of the Dedicated Service Award for her work on behalf of Valparaiso University's Law Review. "The Use of Expert and Skilled Lay Witnesses in Legal Malpractice Cases," West LegalEdcenter, live webcast, March 31, 2015. Ms. Fisher is the proud mother of two young sons and an advocate for equality in education. While at Purdue University Calumet, she worked with faculty to found an academic outreach program for public school children. This program was developed to help open unique opportunities for mentoring, tutoring, and research to underprivileged children interested in pursuing higher education degrees in science. While at Valparaiso Law School, she founded and served as president of the Parents Attending Law School student organization. This organization was founded to create a student-run support network geared towards the unique challenges faced by parents balancing the demands of law school and parenting. Ms. Fisher also served as Treasurer of her local chapter of Phi Alpha Delta and remains a loyal fan of the Valparaiso Crusaders, Indianapolis Colts, and Chicago Blackhawks.